There’s nothing more exciting than taking your relationship with your S.O. to the next level: engagement. But as exciting as it is, before we make it permanent and for life, it’s wise to ask yourself and reflect on the following questions, because the decision to get married should not be taken lightly. #1. Have you gone through the seasons of dating? 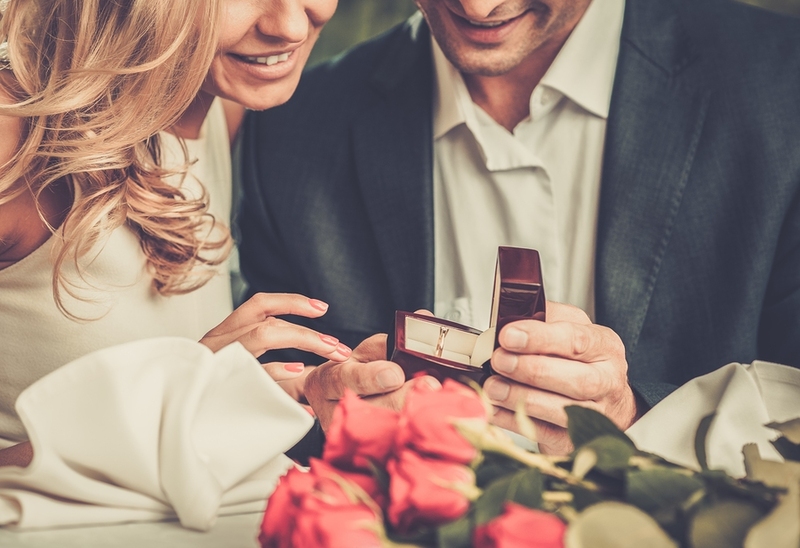 Though there are couples that have married after only dating a few months or so, ideally, it’s healthy to date for at least one year before getting engaged. Because it allows the couple to take their time to go through all the seasons of dating, that will help them make the wise decision as to whether or not to move on to the next stage. In Debra Fileta’s book, True Love Dates, she separates the seasons of dating by the four seasons of the year: spring, summer, fall and winter. Each season brings its own set of challenges and joys that the couple should experience before thinking of making the permanent commitment. #2. Have you experienced conflict and successfully resolved it? A person’s true colors come out, not in the times of joy, but in times of hardship. This rings especially true in relationships, as we’re all prone to have disagreements. I’ve learned that it’s not so much about arguing itself, but having the experience to handle and resolve it successfully with your S.O. My boyfriend and I grew up, handling conflict in different ways. I’ve been an avoider, while he’s been assertive and into talking it out, facing it instead of running away from it. It took us time to really understand, accommodate and work with our differences in how we deal with disagreements and arguments. Thankfully, after over a year together, we’ve improved drastically in this area and am still learning to strengthen our relationship by handling conflict effectively and in a healthy way. #3. Are you attracted to each other, physically, emotionally and spiritually? Attraction is three-dimensional, something that many of us tend to forget, but then we learn after evaluating the state of our relationships. Physical: Are you physically attracted to and drawn to your S.O. no matter how he/she looks? Emotional: Do you have a solid friendship, making it the foundation of your relationship? Spiritual: Are you and your S.O. attracted to each other at the sight of living out your spirituality and beliefs? You shouldn’t base the state of your attraction for each other on only one of them because a successful and healthy relationship requires each of them to be present. Not having any of these types of attraction in the relationship doesn’t automatically means you should break-up with your S.O. but it’s something worth discussing about if marriage is on your minds. #4. Do you enjoy doing nothing and everyday things with your S.O.? Life is made up of a bunch of mundane moments, and it applies to relationships too, whether you’re dating, engaged or married. I’ve talked to my share of married couples and the one big thing I’ve learned from all of them is that marriage is filled with everyday moments and doing mundane things. But because they truly love each other, doing everyday things is exciting for both of them, because it’s the concept of doing things together that makes it fun. Marriage, as beautiful and amazing as it is, won’t be filled with numerous date nights, especially after having kids, from what I’ve heard. Think about this: if you and your S.O. were to spend the day shopping for groceries, walking in the park, running errands and staying in doing nothing, would it be equivalent to going on an extravagant date? If your answer is yes, that’s a good sign, because it shows that not only are you lovers, but that the two of you are solid friends and that’s what keeps a marriage strong. #5. Have you gotten the approval from family and close friends? I used to think it was old-fashioned to base my decision to marry someone on whether or not my family and friends approved of him. But now that I’ve experienced the benefits of having the support of family and close friends for my relationship, I stand corrected. You shouldn’t not marry your S.O. because your family disapproved for shallow, superficial reasons, but you also should seek to see the value in getting the OK from your loved ones. After learning my family and close friends approved of my boyfriend, I was happy and frankly, relieved, especially since our relationship is long-distance. In our case, it’s especially important and vital that we get the support and encouragement instead of negativity from those who know us best. #6. Is there compatibility in areas that matter? My boyfriend and I are opposites and actually, it’s really made the relationship more fruitful and we’ve both learned a lot about each other through these differences. But when it comes to spirituality, family, values and beliefs, we aren’t opposites and that’s a good thing, almost a necessity for every relationship. Incompatibility in areas like values, beliefs, spirituality, vision and family, will make it more difficult for the long run. Sure, you can still marry your S.O. even though there’s this incompatibility but it may bring on more burden and strains to your relationship, even more so in marriage. I think you have an amazing grasp on what it is to think before getting engaged! Thank you for your words.